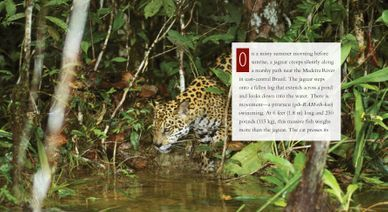 As if the full-bleed National Geographic–worthy photos aren’t enough of a hook, the books in the “Living Wild” series each start off with a dramatic bang. In Alligators, a turtle’s lazy swim turns disastrous when a log comes to life with a vicious snap. After that comes a thorough description of the “living fossils’” physical characteristics, behaviors, and place within their American and Chinese ecosystems. Each book lucidly discusses conservation and the animals’ often tenuous relationship with humans. The layout is uniformly simple but effective, constructed with a nice balance of main text for the report writers, smaller chunks of esoterica for browsers, and, again, those killer photos. 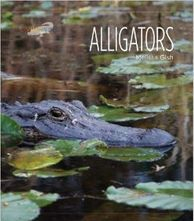 All in all, upper-echelon animal books for middle-grade researchers. I am really impressed with [Chameleons's] layout, design, and photography—and, of course, the contents, of which I completely approve. If I had been given such a book as a young person, it certainly would have caused me to read more about chameleons, to ask questions, go to the zoo, and, above all, try to draw the beautiful colors and textures. I also note that nobody talked down to readers, but laid some big words on them: I don’t think I knew the meaning of “estivate” until I was in high school, and “herpetologist” was a word I only learned in college, when I was a friend of one. Kids being kids, you know that the interested ones will grab on to those words and meanings and use them; after all, that’s the purpose of books. The chameleon folk tales were also fun and unusual, too, and I think they quietly teach respect along with the story—which is a very important part of such stories among the Asante of Ghana (the people I have researched for the last 40 years or so). Asante proverbs and stories often have animal protagonists doing clever or funny things, and a good speaker can cite stories or proverbs whenever appropriate in his arguments, both political and legal, and is admired for the dexterity with which he uses traditional material. 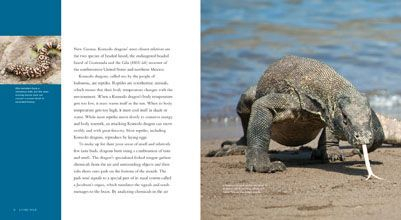 These titles [Komodo Dragons, Pandas, Rhinoceroses] combine excellent-quality photography with solid factual material and a myth or folktale to round out the offerings. The texts are advanced and would only be interesting to middle schoolers, but the exquisite photography appeals to all ages. While the information is well researched and well written, it takes perseverance to read through it and glean the needed information. In Pandas, Gish describes how the mother panda abandons her young as soon as she is pregnant again and the cub is left to establish its own home in the forest. The maps show where pandas may be found, describes their habitat, and what they eat. A tale of "The Pandas Markings" is included. Komodo Dragons and Rhinoceroses follow the same format. These new books in the Living Wild series [Bison, Hummingbirds, Komodo Dragons, Owls] have something for everyone. Stunning, full-page photographs create immediate visual interest. A brief narrative introduction sets the scene for the richer, more scientific information in the rest of the text. 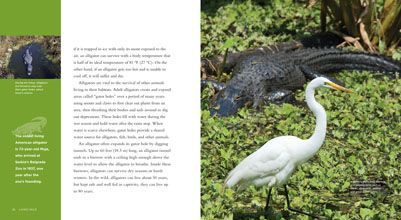 Cultural tidbits and even literary excerpts enliven the scientific and life-cycle information about each animal, and each book concludes with a two-page “Animal Tale,” which consists of a piece of folklore about the animal. Additional engaging facts stud the margins. 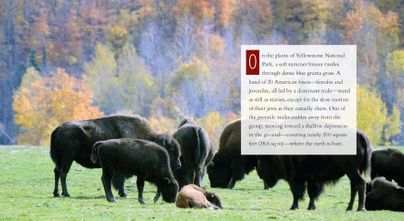 Bison goes into detail about the different species and their adaptation to and role in their environment, as well as their cultural significance to Native Americans and as a symbol of the American West. 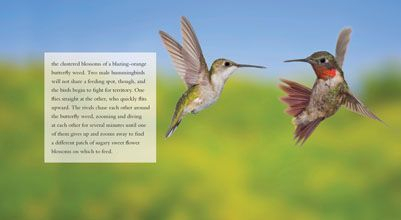 Hummingbirds focuses on the birds’ many unusual physical features, from their tiny size to their impressive flying muscles, as well as their symbolism in North and South American cultures. Komodo Dragons likewise emphasizes the animals’ unique qualities, such as toxic saliva, as well as dragons’ role in mythology. Besides the birds’ physical features, Owls explores the variety of species and the dearth of scientific studies about them. The books’ back matter includes a one-page glossary, which defines boldface words in the text, plus a selected bibliography and a one-page index. At first glance, these books [Bison, Jaguars] appear to be for a young audience. However, by page 10, they get a lot meatier in tone and content. Each one offers a population map and an array of interesting facts. Photography is large and beautiful-a real draw. Extensive indexes, glossaries, and even animal folklore round out each title. There are quite a few books on these subjects, mostly for younger audiences. These are worthwhile additions for research and browsing. 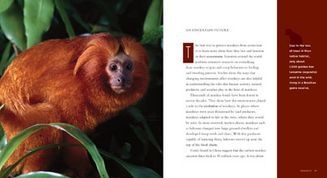 Gish’s title [Monkeys] offers beautiful full-color photography that highlights the unique characteristics of our small simian cousins. However, it is more than just a simple picture book. In addition to the expected text on the animals and their characteristics, several sections describe modern issues relating to monkey species around the world, such as the destruction of their environment or use in scientific experimentation. Combined with somewhat advanced vocabulary, the book offers a total package that makes it informative without losing its appeal for casual reading. All in all, it should provide many terrific teaching opportunities in the classroom and may even spark interesting dinner conversations with parents. 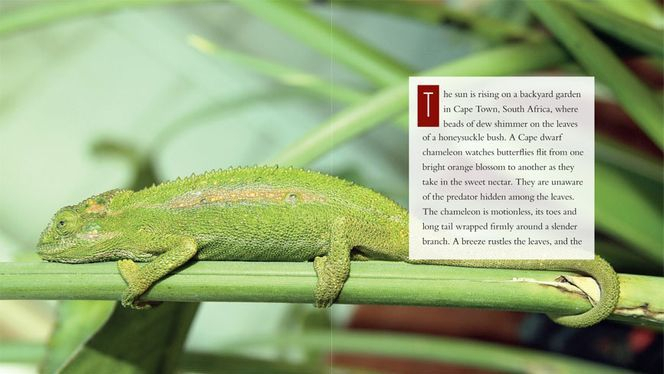 Each of these oversize titles [Chameleons, Octopuses, Frogs] starts with a captivating moment in an animal's life and then dives directly into the facts, covering its typical life cycle, habitat, and almost unbelievable extremes of species. 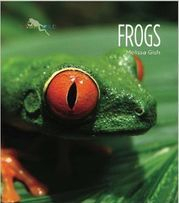 One chapter is devoted to the animal's appearance in traditional stories and popular culture (such as Kermit the Frog and Rango). Beautiful, full-page "National Geographic-quality" photographs complement the information on every page. An enjoyable bonus: each title ends with a traditional legend, myth, or folktale about the creature. Excellent supplemental purchases. Have you ever wondered why some camels have two humps and some camels have only one hump? And what exactly are those humps used for? Large, bright photographs on every page [of Camels] capture a child's attention from the very beginning. But each page is also filled with tons of informative facts about all of the different types of camels and how they live. 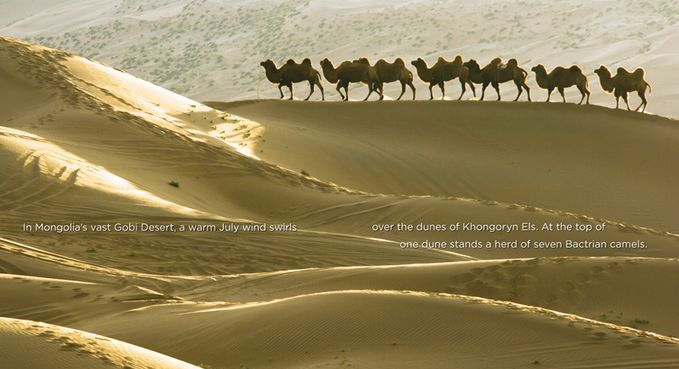 Children and adults alike will enjoy reading about all of the different ways camels have to conserve water or about the history of the wild camels still roaming the earth today. The author did a great job of researching camels and then presenting the information in a fun and creative way. Young readers will be captivated while learning more about a unique and very special animal. 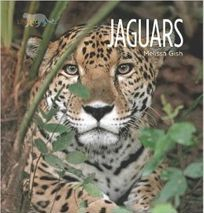 The book will make a wonderful addition to your home or school, in addition to the other books in the "Living Wild" series. I received this book free of charge from Children's Lit in exchange for my honest review. [Moose] is a very nice resource book for any young reader. 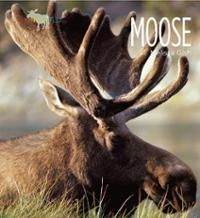 Filled with amazing photographs, young readers will learn the different kinds of moose, their habitats, and their everyday doings. The author includes plenty of resource information plus entertaining information for the casual reader. A great resource book for your non fiction collection. A nice oversized book. 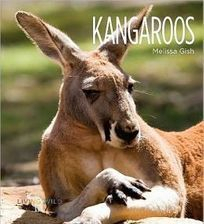 [Kangaroos] is an excellent resource book for anyone interested in learning about kangaroos. With great photographs, the author does a nice job of including important resource text plus entertaining trivia and history about the family of "roos." The book delves into the different types of kangaroos and how they impact the environment around them. A great resource book for your collection. Nice oversized book. 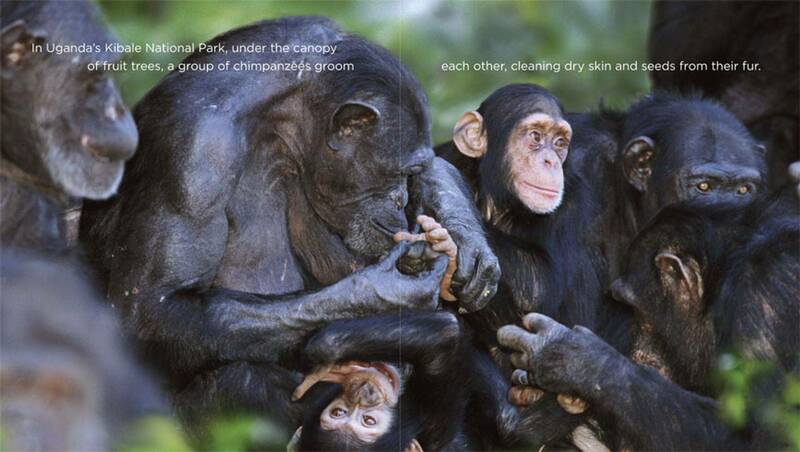 Banner image from Living Wild: Chimpanzees. All images copyright Creative Education, Mankato, MN.